An Orcutt man pleaded guilty on Tuesday to voluntary manslaughter over the killing of a 19-month-old girl for whom he was supposed to be providing care while the toddler’s mother, an Oceano woman, was at work. 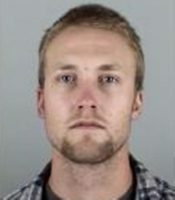 On June 25-26, 2016, Sean Kothe, 27, was watching Delilah Cossio-Molina, the daughter of the Orcutt man’s girlfriend. During that period, the girl suffered a traumatic brain injury, a skull fracture and a subdural hematoma, according to the Santa Barbara County District Attorney’s Office. Kothe never sought medical attention for the girl. In the late morning of June 26, Kothe told the girl’s mother that she needed to come home from work and take the child to the hospital. When the girl arrived at the hospital, she was unconscious and unresponsive. On June 28, 2016, following treatment at Marian Regional Medical Center and Valley Children’s Hospital in Madera, the girl died from her injuries . Kothe pleaded guilty to voluntary manslaughter, dissuading a witness by threat of force and three counts of felony child abuse. Kothe also pleaded guilty to attempting to escape county jail and bringing heroin into the jail. He is facing a sentence of 25 years in prison. “Although no amount of time in prison can ever bring Delilah back, we hope this plea will enable her family to find some sense of closure and begin the arduous process of healing,” Santa Barbara County District Attorney Joyce Dudley said. Kothe is scheduled to be formally sentenced on Feb. 27. ← Previous Previous post: Where did garbage agency’s tax payments go?